An excellent balance of price and performance LEKI Cristallo trekking poles offer high-performance features at a budget-friendly price. 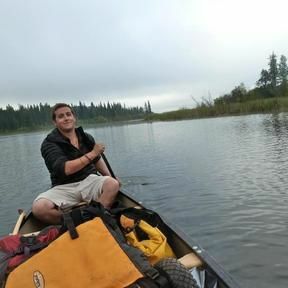 Easy-to-use external locking mechanisms and ergonomic grips equip the poles for varied terrain. LEKI's AERGON Soft rubber grips offer a comfortable confident handhold while incorporating an ovoid shape that can be palmed or held traditionally. Integrated adjustable straps further reduce stress on your wrists and provide additional security and comfort. LEKI's Speed Lock 2 system utilizes an integrated stainless steel pressure plate to provide a secure lock and keep pole sections from slipping. The fiberglass-reinforced mechanism resists stretching so it retains its locking ability after repeated use. Adjusting pole length on-the-fly has never been easier. Carbide flex tips deflect up to 30 degrees without damaging the lower pole sections. This reduces the risk of shaft breakage if the pole should get caught between rocks or tree roots on the trail. Standard trekking baskets are included and are interchangeable with a simple screw on/off design that stays secure. Optional snowflake and deep powder baskets (sold separately) allow the poles to be converted for winter use. 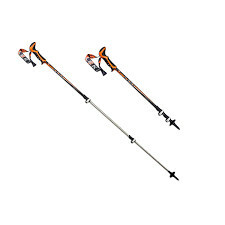 Sold in pairs LEKI Cristallo trekking poles have a usable adjustability range of 39.5"-53.1".